Manchester City loanee Jack Harrison has insisted Leeds United must not get complacent, if they wish to achieve their goal of clinching promotion to the Premier League at the end of the season. The Whites opened up a four-point lead at the summit of the Championship table following their 2-0 win over Derby County at Elland Road last week. Marcelo Bielsa’s men put an end to a run of three straight defeats in all competitions, courtesy of goals from Kemar Roofe and Harrison. Despite establishing themselves as favourites in the race for promotion to the Premier League at the end of the season, Harrison feels Leeds must not get ahead of themselves just yet. The 22-year-old insisted the Whites must shrug off any signs of complacency, if they are to achieve their target of returning to England’s top flight next season. “It’s important at this point in time not to get complacent”, Harrison told the Yorkshire Evening Post. “We need to keep our heads down and keep working – to prepare for the next game just as we prepared for the last one. “That’s what we have to do to reach promotion, which is obviously our end goal. 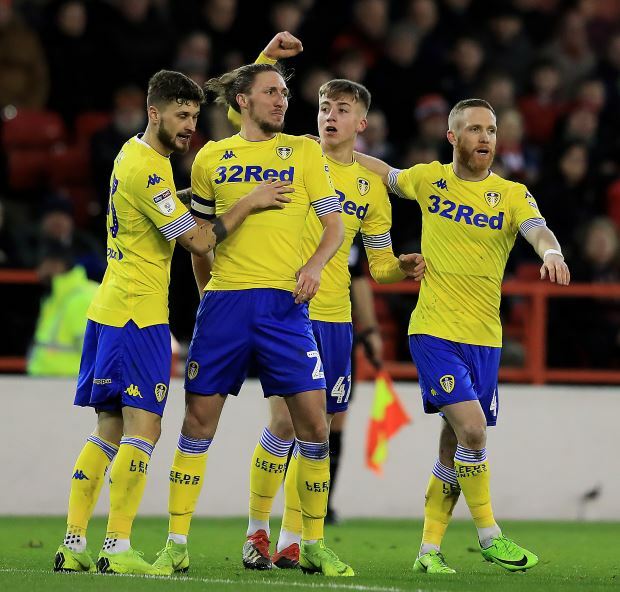 Leeds, who have secured 54 points from 27 games, will next face Stoke City at the bet365 Stadium on Saturday in the Championship.